THE IGLESIA NI CRISTO: who is Jesus Christ to Iglesia Ni Cristo (Church Of Christ)? WE believe in the Lord Jesus Christ. 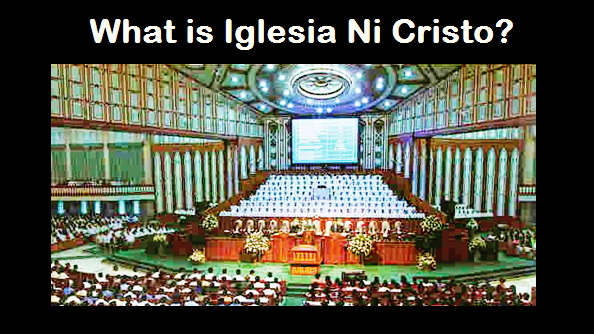 However, the belief of the members of the Iglesia Ni Cristo (Church Of Christ) regarding Jesus Christ is what the Bible teaches about Him. 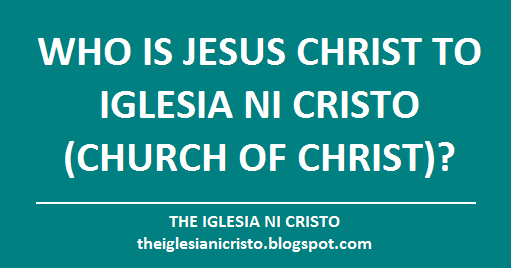 Thus, for members of the Iglesia Ni Cristo (Church Of Christ), Jesus Christ is our Lord, our Savior, the Son of God and whom the One true God sent, and the Mediator between God and men. However, also for us members of the Iglesia Ni Cristo (Church Of Christ), there is only ONE TRUE GOD, the FATHER of Jesus Christ.